Vladimir received his Bachelor and Master degrees from the Moscow Institute of Physics and Technology in 2010 and 2012, respectively. His Bachelor thesis addressed the problem of studying methods and means of extracting information from the structured and semi-structured text. The Master thesis was devoted to the development system of extracting information from the structured and semi-structured text based on web-page harvesting. 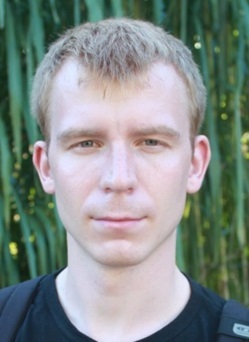 In 2012, Vladimir started his postgraduate studies and switched the direction to the field of Remote Sensing Data Analysis and Forecasting. He concentrated on development methods for recognition of objects on the Earth surface and building models for prediction of objects’ characteristics on the basis of long-term remote sensing data (multispectral images). The research resulted in a series of publications in peer-reviewed journals and formed the core of Vladimir’s Candidate of Sciences thesis. The PhD thesis in Mathematical modelling, numerical methods and complexes of programs, was successfully defended on the 25-th of September 2017 at National Research University Higher School of Economics. In 2011, Vladimir started working part time as Junior Research Scientist at the State Research Institution “Institute for Scientific Research of Aerospace Monitoring “AEROCOSMOS”. There he participated in developing the software modules of data analysis methods and multiple regression models for engineering applications. A number of algorithms were implemented in these modules including algorithms for reconstruction spectra of sea waves using satellite imagery; for superresolution applications; for forecasting yield productivity based on remote sensing data and nonlinear regression; for automated data processing for image matching, change detection using image series; and for synthesis channels of multispectral images in the problem of bad data recovery. sea-wave spectra reconstruction from satellite imagery. Bondur V., Murynin A., Ignatiev V. Retrieving sea-wave spectra using satellite-imagery spectra. Bulletin of the American Meteorological Society (in print).